Do you already know where you and your guests are going to stay while you are having the most romantic event in your life? It is up to you, where you want to stay while you have your wedding celebration. Tell us what you have have in mind for the perfect setting you would enjoy most and we will help you achieve it. If you prefer to stay in a hotel while you are visiting Slovenia, you have plenty of different choices. 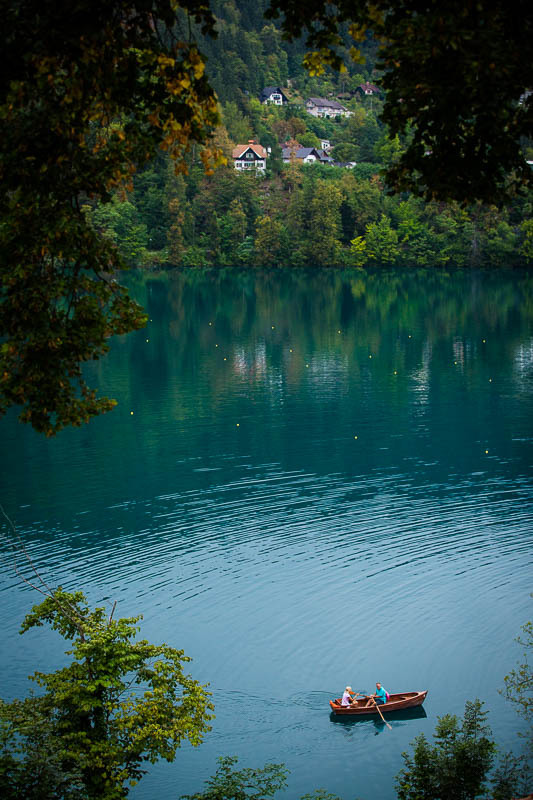 You can choose one of the hotels beside Lake Bled, with the view of the castle, island and surrounding mountains. If you like “the noise” of the city, you can stay in one of the top hotels in Ljubljana or if you prefer the seaside, you can stay on the Slovenian coast in one of the hotels in Portorož or Piran. If you are one of those people who prefers to stay in privately owned guesthouses, where you can have a candid and friendly relationship with the owner, this would be a good option to choose. 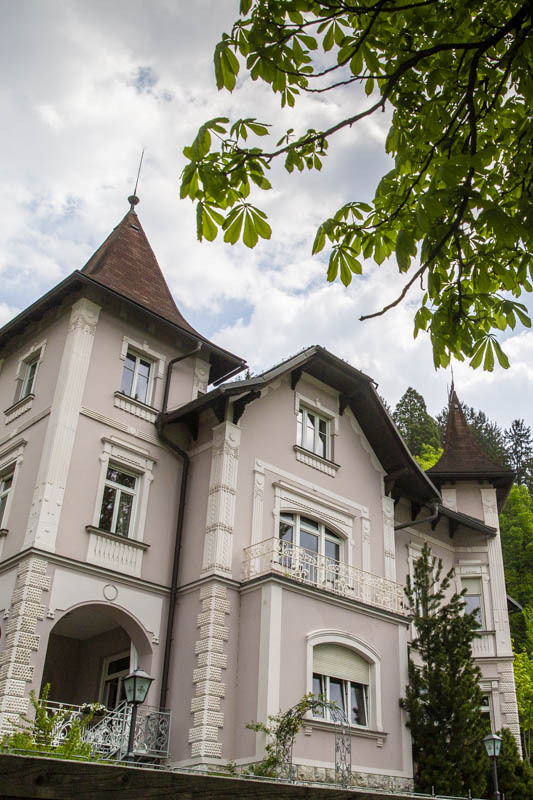 That kind of accommodation, which also offers tasty home cooked food, made from locally sourced fresh ingredients, you will find there are many of these not only in Bled but all over the country. We will arrange all the accommodation you need for you and your guests and cater to your needs and preferences in the best way possible. As we are not associated with any particular hotel or restaurant group, it is easy for us to tailor-make the perfect wedding for you. How will you and your guests get from one location to the other? You do need to worry. There are plenty of transportation options, including a horse-drawn carriage, a luxurious car to the tourist train, which can be rented just for you and your guests. You may want to be taken to your wedding ceremony or reception by romantic carriage ride for the bride and groom, or choose a limousine which may suit you better. 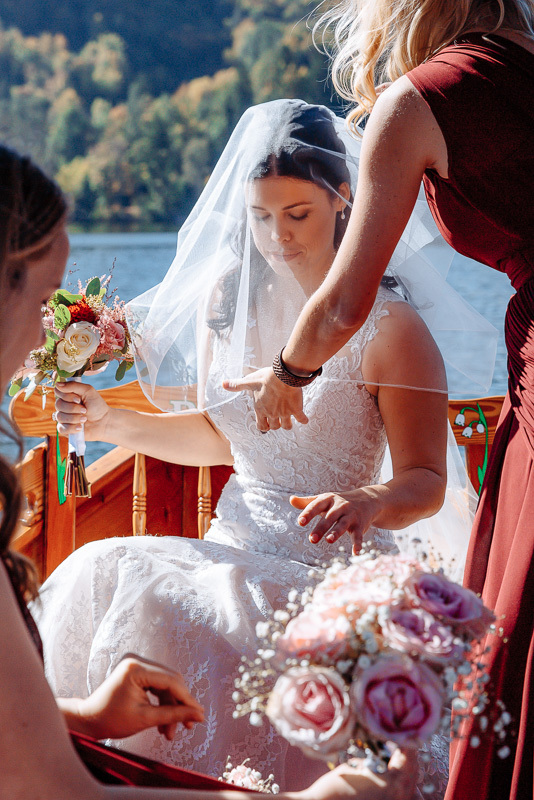 If you decide to get married on Bled Island in the middle of the lake, the only option to get there is by a traditional romantic boat, called “Pletna”. The Pletna boat is a wooden flat-bottom boat with a pointed bow and wide stern, with a step to enable passengers to get on. The boat is propelled using the special »stehrudder« technique, where the oarsman stands and rows with two oars.s. We can also look after all your guests, bringing them to the reception and then returning them to their chosen accommodation. We can also collect you from the airport, or train/bus station, and take you to your hotel, as well as organise all your other transportation requirements during your stay in Slovenia, including returning you to your starting point.